The upgrading of the range of HP servers will hold the show. First episode on September 8 with the announcement of several Gen9 machines the day before the opening of the Intel Developers Forum US. While other manufacturers are going to spread their ads throughout the month of September, HP has chosen to strip the first and announce a series that wants to keep in suspense aficionados of IT in the 18 months ahead. The upcoming season knows an interesting cast with goal to regain control of key markets as the small business. Rhys Austin, responsible for blade servers and infrastructure software for HP in Europe explains: "In our previous generation we offer all the features and customers do not use them. This has given way to servers less functionally than our competitors. With this generation we approach more of what our customers really want, especially on this low end of the market. "However, customers will find this wealth but by enabling options. Besides servers specifically target customers who are experiencing the need to renew Microsoft environments in later life such as Windows 2003 Server. Rhys Austin sees this as a strong opportunity for the new HP. Current customers on Gen6 / 7 servers are also preferred targets for these new models. The truly innovative aspect, which told HP that the server is completely redesigned, just adding to the pile of administrative support converged environments. The tools present, ILO (Integrated Light Out), UEFI (Unified Extensible Firmware Interface) and Oneview, are also in charge storage or network to help manage not only the server but the context of its use with other components needed its operation and performance. Compared to previous generation, servers allow for a tripling capacity for hosting virtual machines, performance increased from 2 to 4 depending on workloads. 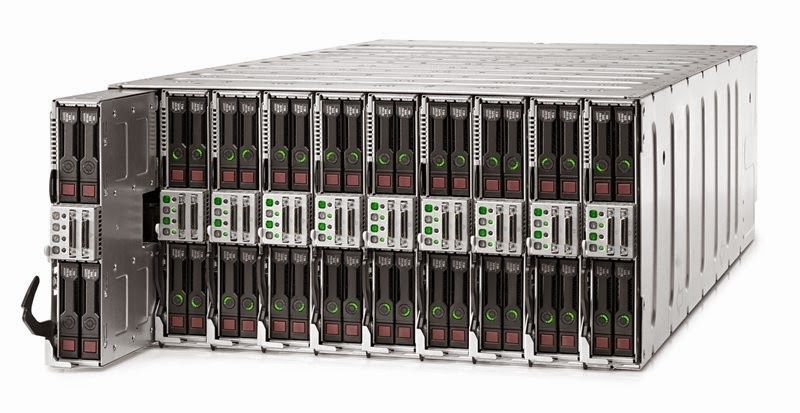 Servers are available with support for new generations of Intel Xeon processors, PCIe acceleration and DDR4 memory. Racks and frames do not change and remain compatible with the new models. The servers will be available in various formats, blades, racks and towers. The first will be available on September 8, they will be rack models (DL 160/180 and DL 360/380), a tower model (ML350) and a blade (DL 460C). The first of a long series that will continue for 18 months.